Every asphalt paving installation is completed to the highest specifications, We can also install Belgium block or brick bordering to create a beautiful driveway entrance. 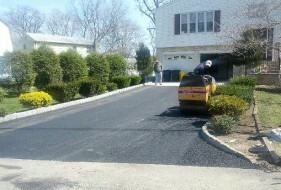 For this standard residential driveway we installed a 6 inch stone base and then a 2 to 3 inch layer of compressed residential asphalt. With traffic and changes in temperature, surfaces can deteriorate quickly. The resulting cracks, potholes and breakup can cause accidents and liability for you. America's Way Paving is a family run business. 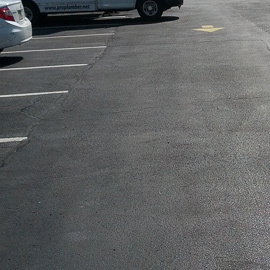 We use the best asphalt and top of the line paving machinery, as well as quality people. We show up! because we are owner supervised to make sure you the customer are satisfied. Our success is based on quality, value and customer service.